Cedar Point, the second oldest amusement park in the country, sits at the end of a slender 364-acre strip of land at the edge of Lake Erie. 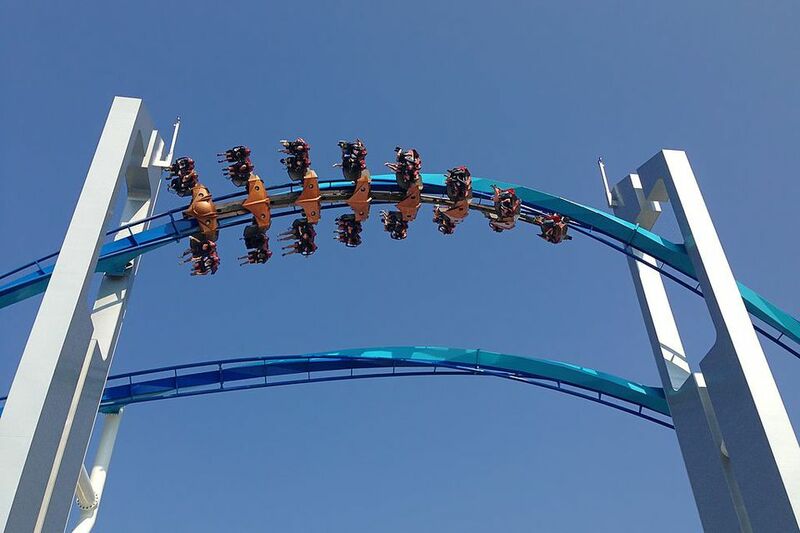 Located about an hour and a half's drive from downtown Cleveland, the park boasts some of best roller coasters in the world, ranging from the venerable, wooden Blue Streak to the 420-foot-tall Top Thrill Dragster. Sometimes the lines for the most popular rides get alarmingly long, especially in the middle of the summer. If you're not willing to pay the substantial extra fee for Fast Lane or Fast Lane Plus, then take advantage of these tips on beating the lines at Cedar Point. It's human nature to stop and examine the first attraction you see. Get away from the crowds that flock to the rides at the front of the park when the gates open by heading right to the back of the park and as far away from the entrance as possible. Start there, then work your way forward. You'll have the rides almost to yourself for an hour or two. Cedar Point offers escorted VIP tours of the park that offers members front-of-the-line access to the rides. These tours last nine hours and are designed for a minimum of four and a maximum of eight guests. To help you beat the lines, guests get two one-ride-use Fast Lane line vouchers for any ride on the day of your tour. VIP tour members also get to enter the park one hour before the posted opening time, although the tour doesn't begin until at least noon. According to the marketing folks at Cedar Point, the crowds are thickest on Saturdays and Sundays. Mondays and Friday are less busy than the weekends but still busier than midweek. If your priority is riding the maximum number of rides, minimizing waits, and avoiding crowds, then Tuesdays, Wednesdays, and Thursdays are your best days to beat the lines at Cedar Point. Overnight guests at Cedar Point hotels get early access to the park as well as discounted admission tickets. Take advantage of that extra hour in the park to ride the most popular attractions before the gates open to the public. Cedar Point hotels include the historic Hotel Breakers, the family-oriented Sandcastle Suites, and the budget-friendly Breakers Express. Beat the lines at Cedar Point and hit the most popular attractions during meal times, which is generally around breakfast, 11:30 a.m. to 1:30 p.m., and again around 6 p.m. Bring snacks to eat while you stand in line, or eat your meals early or late to take advantage of the temporary lull in the action. Cedar Point's new smartphone app makes it easier for guests to avoid long lines. Cedar Point sister parks Kings Island and Carowinds recently executed the technology for Cedar Fair. This wait-time feature allows you to choose your next ride based on how long the lines are. The app shows estimated wait times for each ride, as well as the height requirement, thrill level, and park location. Ride closures are updated on the app, but the app only works if you are inside the park.